I am back with another NCC design! I am really enjoying this Tea Party theme! I have something awesome planned for my next design, but I am still working on it. Fingers-crossed! 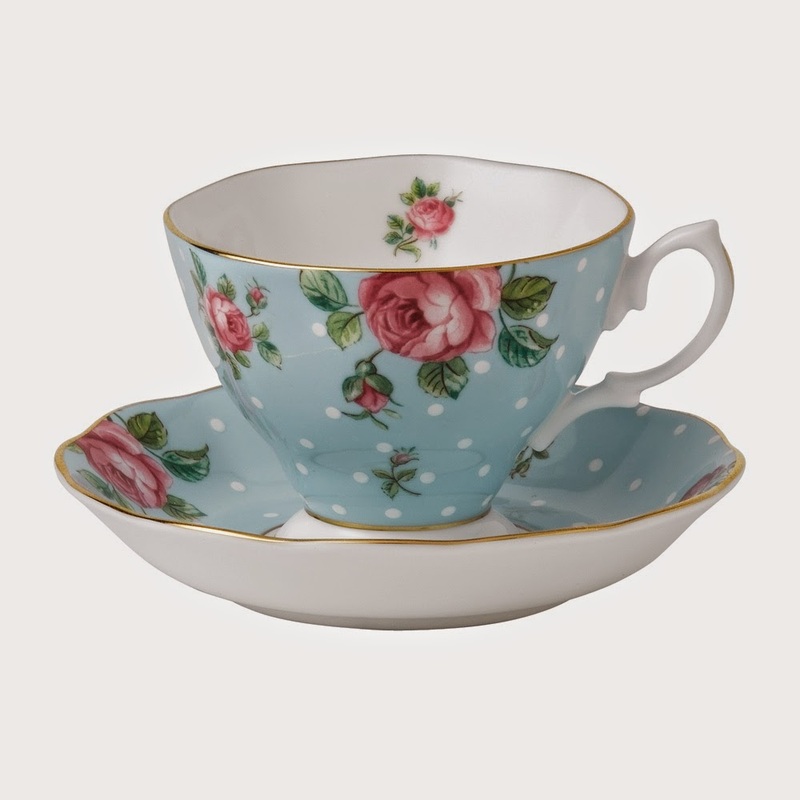 My design today is once again inspired by a vintage tea cup. And here is my inspiration! My design started with two coats of Barry M Blueberry. I used White to add my dots. I used Pink Punch and Winstonia Wedding Bliss to add my roses. I free handed my rose leaves using Key Lime. Of course mine are more fun than the detailed roses on the cup but I love them. They have this great retro feel! Whimsical! I love this! It is kind of retro-ish and super cute. Great job, lady! I want some Barry M polishes so bad! Blueberry is pretty much amazing on you! :) Great design! Those Barry M polishes are to die for! Love this too, you totally nailed the retro-vintage! What a great inspiration! These turned out cute. So pretty! I love those colors together! And I think you've convinced me to try out Barry M finally. Super pretty! I love this prompt! This may be one of my all time favorites! It's just wonderful! So bright and colorful, I love it!! This manicure looks gorgeous! I love the dots and roses!